The GBA 2016 Award Booklet including the award result is now officially released! Winners of the Green Building Award 2016 (GBA 2016) were announced at the award presentation ceremony at JW Marriott Hotel Hong Kong on 22 November 2016 (Tuesday). 12 Grand Awards, 21 Merit Awards and 37 Finalists, spanning across both private and public sectors, were selected by a renowned jury panel comprised of a broad base of academic and technical experts. In addition, 6 projects were accredited with special citation. 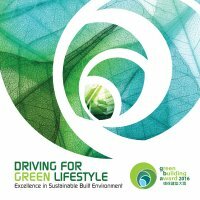 With the theme of "Driving for Green Lifestyle • Excellence in Sustainable Built Environment", the Hong Kong Green Building Council (HKGBC) is organising with the Professional Green Building Council (PGBC) the biennale Green Building Award 2016 (GBA 2016).